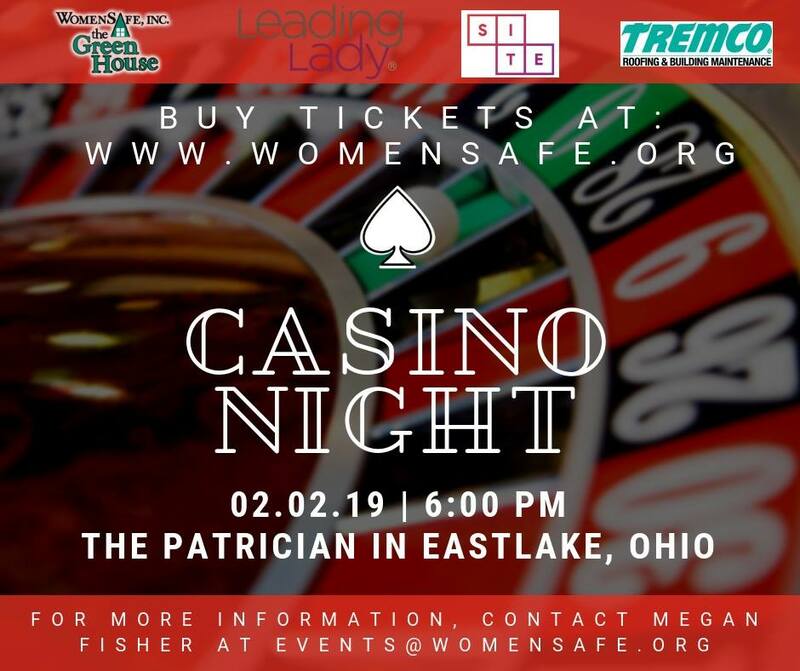 February 2, 2019 from 6-11 pm WomenSafe, Inc. is partnering with Leading Lady, SITE Centers, and Tremco Roofing & Building Maintenance to hold its 18th Annual Casino Royale at Patrician Catering. The community is encouraged to come to this organization’s largest event, which will benefit WomenSafe’s mission: to provide emergency resources and shelter to survivors of domestic violence. This fundraiser is full of fun, including a night of casino gaming managed by professional dealers, a silent auction, lucky number auction, live auction, a $1,000 raffle, wine pull, open bar and sit-down dinner and many opportunities to win! Saturday, February 2, 2019 6 – 11 pm.